In response to Malta’s plans to offer citizenship to “ultra-high net worth individuals” in return for a one-time ‘donation’ of €650,000, Antoine Cassar, one of the editors of Le monde n’est pas rond, created a crowdfunding campaign to raise funds for a Maltese passport for someone who badly needs it: a rejected asylum seeker, who has been stuck in Malta for years, with no work permit, and no permission to leave the island in search of better opportunities further north. Due to recent changes in the Maltese scheme, the campaign was never launched, but the underlying message has been made clear both in Malta and beyond: 65 years after the Universal Declaration of Human Rights, the fundamental rights to nationality, asylum and freedom of movement are as yet far from being universal. Either all citizenships are equally valid, or none are valid at all. On 18th December 2013, Antoine Cassar was interviewed on Radio Canada about the reasons behind the crowdfunding idea. October 2013. 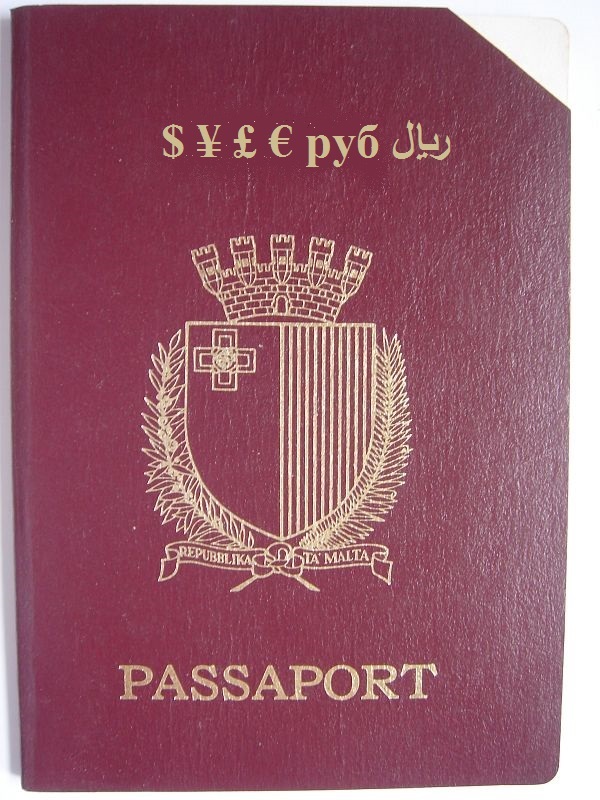 The Maltese government announces its plan to sell citizenship – and its corresponding EU passport – to “talented individuals” in return for a one-time ‘donation’ of €650,000. In the Maltese press and social media, all hell breaks loose. Political tribalism, nationalistic fervour, widespread panic at the prospect of prostituting Maltese identity on a global scale. And yet, next to no consideration in public debate for those who desperately need a citizenship or travel document, but can neither afford the hefty fee, nor even have the permission to work for it. How could we be missing the point so badly? Ironically, Henley & Partners, the British consultancy firm selected to market the so-called Individual Investor Program (IIP) on Malta’s behalf, featured in the Le monde n’est pas rond printed newspaper in March 2013. 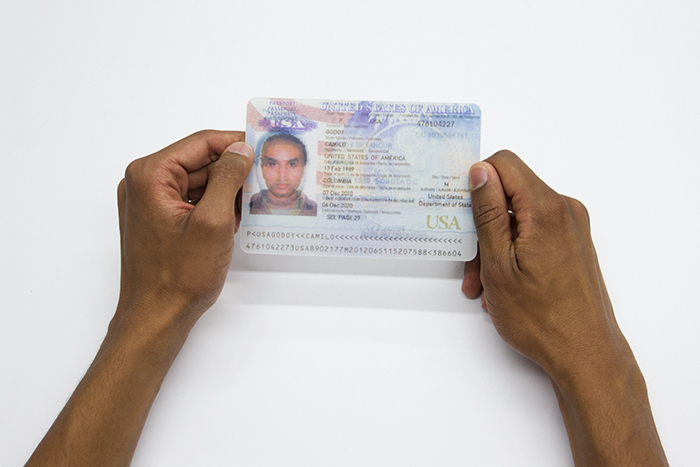 Camilo Godoy’s lenticular ID card, which combines his two nationalities, refers to the ‘Global Visa Rankings‘ compiled by H&P as benchmarks for the pricing of their “Residence-by-Investment” schemes. Cynically enough, as of February 2013, this same firm’s website even had the cheek to cite, as a motto in the sidebar, Benjamin Franklin’s celebrated words “Where liberty dwells, there is my country“. November 2013. The debate on ‘golden passports’ rages on, attracting the attention of foreign media, yet continues to be confined within the same national borders that allow the global citizenship business to thrive in the first place. The opposition continues to cry foul, adamantly against the sale of citizenship by principle, but MaltaToday reports that a prominent member of the opposition happens to be a senior partner representing H&P’s direct competitors in the global citizenship market, who lost the tender to become the government’s concessionaire. Partly as a political protest, and partly as a show of solidarity with the many people who are very obnoxiously slighted by the entire passport business, forced to continue their journey from one cage to the next, I create a crowdfunding campaign on verkami.com to raise funds for the purchase of a Maltese passport for someone who badly needs it: a rejected asylum seeker, who has been stuck in Malta for years, with no work permit, and no permission to leave the island in search of better opportunities further north. That person is one and many, as yet unidentified, and in any case would be better off remaining anonymous – not only to avoid unnecessary rivalries, but because the party in opposition would probably jump on them as a useful symbol for their own political gain. Local NGO Integra Foundation offer their support: in the highly unlikely event that we manage to raise €650,000 in pledges (plus the €7,500 ‘Due Diligence Fee’) within the 40-day deadline, they will accompany an asylum seeker to the office of Henley & Partners in St Julians’, in order to lodge the application for Maltese citizenship. Attempting to identify the asylum seeker most ‘deserving’ of a Schengen passport would indeed have been a very delicate and prickly affair; in this sense, the Times of Malta headline was unfortunate, but judging from the online comments beneath the article, the crowdfunding proposal seems to have been successful in pushing the debate toward the realm of human rights. The point of the crowdfunding idea is not to establish some sort of competition to locate the migrant who has been stuck in Malta the longest, or suffered the most within the cage of border bureaucracy. 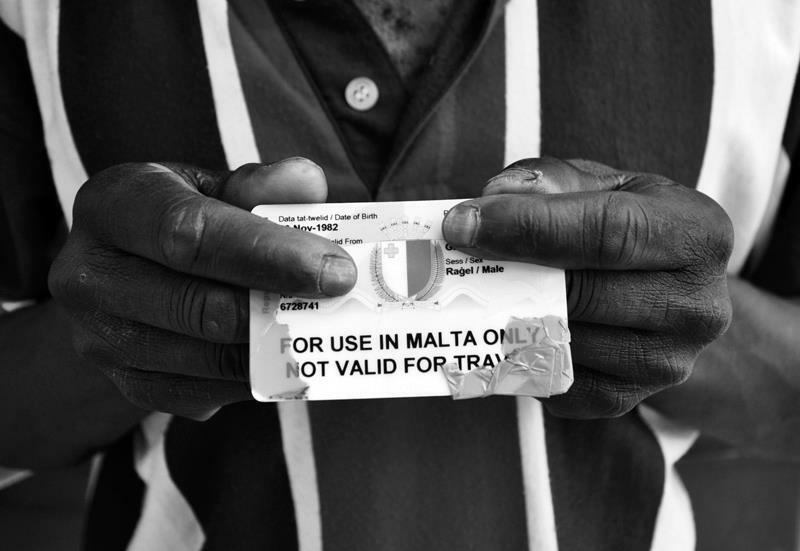 In the highly unlikely event that the €650,000 were to be pledged within the 40-day deadline, ideally, that money would not purchase one passport, nor a hundred, nor a thousand, nor one for each and every person in Malta who has had their request for humanitarian status rejected and yet has no permission to leave the island. Ideally, that amount would not buy a single passport, because the right to freedom of movement should not be on sale in the first place. The Unwanted © Joe Sacco. Click to enlarge, or click through the Guardian link above. December 2013. Thanks in large part to the Times of Malta article, the crowdfunding campaign is approved by verkami.com, but I keep it on hold, waiting for the Maltese government to clear its differences with the opposition regarding the specific conditions of the Individual Investor Program, which still has not been officially launched. Tribal accusations continue to fly in all directions, and Maltese ministers are forced to defend their proposed scheme in the international arena. Other EU Member States, foremost among them the UK, express their ‘security’ concerns, in an unsuccessful attempt to conceal their true underlying worry – the simple fact that the Maltese IIP scheme is more attractive to ultra-rich investors than their own. Meanwhile, Mgr Philip Calleja, director of the Emigrants’ Commission, makes a public suggestion to grant ‘alien’ passports to asylum seekers in Malta who have had their application for protection wrongly rejected. A step in the right direction, even if the term ‘alien passport’ is highly unfortunate. Are we not residents of the same planet? 23rd December 2013. Just in time for Christmas, the Maltese government announces changes to the IIP conditions – in addition to the €650,000 ‘donation’ to the ‘National Economic and Social Development Fund’, applicants will be required to purchase a Maltese property worth at least €350,000, and to invest a minimum of €150,000 in government-issued bonds or shares. These more stringent financial conditions are welcomed by many as somewhat of a victory for the local economy, and go some way to appease those concerned about questions of security, residence and identity. Nevertheless, from the point of view of someone who does not happen to qualify as an ‘ultra-high net worth individual’, the new conditions simply add greater insult to injury. An asylum seeker in Malta who has no permission to work is unlikely to be a property owner, nor an investor in national bonds. The cherry on the cake: the Maltese government announces, somewhat vaguely, that the Fund to be fed by the €650,000 payments for citizenship will be used for “educational, research, social projects and migration” [sic]. As far as I have read, it is not at all clear what the reference to “migration” entails. Improvement of conditions at the migrant detention centres, perhaps? Educational programmes to assist refugees’ insertion in the labour market? The facilitation of deportation flights? Leaving aside the image of dirty money flowing down to the bottom of the social pyramid – however good the intentions, the vague injection of funds into “migration” would be useless if it serves to keep the current system of detention and discrimination in place. January 2014. The question of cash-for-citizenship is debated within the European Parliament, and the Maltese government’s stance is condemned by its ‘socialist’ partners in other EU states. And yet, the hypocritical accusations of cheapening the value of EU citizenship continue to miss the point. The sale of citizenship, whatever the conditions, further cements the walls of global apartheid, and does not take into account the needs of people who suffer precisely due to the fact that they enjoy no freedom of movement. 65 years after the Universal Declaration of Human Rights, the fundamental rights to nationality, asylum and freedom of movement are as yet far from being universal. Either all citizenships are equally valid, or none are valid at all. Image by Ġiljan Agius on Facebook. Says much more than everything above! Attempting to raise a ‘one-time donation’ of EUR 650,000 to allow an asylum seeker to apply for Maltese citizenship was a crazy idea, precisely because it was theoretically attainable. With the new added complication of property purchase, we’re dealing with a different, much riskier kettle of fish. As for investing in government bonds – I would prefer to avoid it. We certainly do not wish to become accomplices to whatever the new national fund promises in the field of “migration”. In the light of these new conditions of the IIP, it no longer makes sense for the crowdfunding campaign to go ahead. Certainly, the campaign could have been very effective as a form of petition, a collective effort as opposed to an individual initiative, the major difference being that contributors pledge with greater thought and care as opposed to providing a single click; plus of course the hope – however distant – that a successful fundraising would have led to a real application for citizenship at the Henley & Partners’ office in St. Julians’. Launching the crowdfunding campaign would have served as a powerful collective message, for the simple reason that it shouldn’t be necessary in the first place. Nevertheless, the underlying message of the project has been sent out and made clear, both in the Maltese press and on foreign radio. Several European prime ministers, including Joseph Muscat of Malta, have recently spoken of the Mediterranean Sea turning into a cemetery. The unnamed graves have been piling up for over a decade. And in the midst of this cemetery, Malta is setting itself up as a borderline boutique, offering over-the-counter EU passports to tycoons with plenty of euros to spare, and plenty of fundamental freedoms at their wallet’s disposal. For their support and enthusiasm in shaping and publicising the crowdfunding campaign, I’d like to wholeheartedly thank Integra Foundation, Gustav Vella, Kit Azzopardi, Kurt Buttigieg, Joan Sala of verkami.com, and Kristina Chetcuti of the Times of Malta. I’m also indebted to Philip Serracino Inglott, an academic expert in online crowd activism, for his timely advice and encouragement. Ħajr, ħabib, u saħħa. Antoine Cassar, co-founder and co-editor of Le monde n’est pas rond, is the author of Passaport, a long poem printed in the form of an ‘anti-passport’ for all peoples and all landscapes. Since 2009, Passaport Project has collaborated with migrants’ rights associations in 9 countries, via performances, readings and debates, and donations from the sale of the booklet. This entry was posted on 15/01/2014 by mondepasrondeditor in activism, humour, interview, journalism, photography and tagged Antoine Cassar, asylum, borders, Camilo Godoy, crowdfunding, deportation, detention, EU, Integra Foundation, Joe Sacco, Malta, Marco Scerri, migration, passports, refugees, Ġiljan Agius.